Hello Everyone! Today is going to be a bit different than my usual beauty and lifestyle posts. I have decided to start a series about blogging. Things like my favorite blogging tips to code tutorials. All the little things I've learned since starting this blog. When I started I knew nothing about code, now my blog is completely customized by code and there is nothing left of the original template I started with. I actually started my blog on Tumblr and decided I need to switch over to a better blogging platform pretty early on. I had only heard of Blogger so I decided to make the switch over. I had to copy and paste all of my posts and publish them one by one. Lucky for me blogger has the option to set the date for a post. I was able to add the original date to each post. A lot of people prefer Wordpress because it is easier to add any gadget you can think of because it is probably already on the site and you don't have to go hunting around for it like you to tent to have to do for blogger. I debated on switching to Wordpress earlier this year since everyone talks about it. To test it out I decided to make my photography blog on it. I'm so used to bloggers settings that I couldn't really find anything and decided not to mess with it and deleted it. I'm in the process of making my photography blog on blogger now. I've still debated on switching until last month. But with Wordpress if you buy a custom domain you then have to pay for hosting. With Blogger you can have a custom domain and blogger still host your files. I got my custom domain through Google last month and still get free hosting with blogger. I decided to stick with Blogger and deal with the searching for the add-ons and cool features. I also decided to stay with blogger because I know the customization settings inside and out. I'm very familiar with how blogger works and moving would be starting from the ground up. Now with you know why I choose to use blogger I'll tell you how to get started on how to start your blog. 1. Sign into Blogger with your gmail account or sign-up for a new one. 2. Click on the "New Blog" button on your Blogger Dashboard. 4. Choose a template. I suggest the Simple template. It is the best option if you want to add in extra thing and edit the HTML. Some HTML Gadgets don't work with certain templates. 5. (Optional) Go to the settings at the bottom of the bar on the left. Scroll to the bottom and change the blog to private. This is so your blog can not be viewed until you are done editing. You can set it back to public when you are happy with how it looks. 1. Go to Template on the left sidebar and click customize. 2. Choose a layout. I recommend The main post on the left and a sidebar on the right. And a footer of three. You can do any size you like. Though I would not suggest the Entire Blog Size go any bigger than 1240px. 4. Click on Advanced and choose your fonts, text sizes, and colors. You may want to add a test post before this so you can blog posts will look on your site. You can always delete it when your done. 5. You can also change background colors and add a background image under the background tab. 1. Go to the Layout Option above the Template Option. 2. Click "Add a Gadget" under the section you want to the gadget to. 3. Select the gadget you want, edit the options given to your liking and click save. 4. You can move the gadget any there you like. You can reorder the gadgets and way you like and you can move the gadgets from section to section. The most useful Gadget on blogger is the HTML Gadget. You can make anything with HTML code. I'll be getting into those gadgets later in this series. 1. Click the "New Post" button and the top of the left sidebar on your dashboard. 2. Enter your title in the title box. 3. Chose for font with the fancy F in the toolbar as well as text size with the double T. I use Helvetica and normal. I also italicize the text. You can also chose a font color here, though there is not a very large selection. I'll show you how to chose a post text color and change text size with CSS in a post later in this series. 4. To add an image click the little image of mountains next to the word Link on the toolbar. Select "Upload an Image" and choose the photo you want to add from your computer. 5. To add a link highlight over the text you want to link like you are going to copy it then click the link button on the toolbar. Copy and paste the URL you want the text to link to into the box that says "To what URL should this link go to?" and click the box next to "Open in new window" then think save. This will cause your link to open in a new tab when a reader clicks on it so that it will not take them away from your blog. 6. If you would like to change the comment settings they can be found under the options tab on the right sidebar of the post write page. You can turn them off before or after publishing. Leave the line break setting as "Press Enter" This is so when you start a new line all you have to do is press enter so you don't have to do it with code. 7. You can schedule a post to upload on the right sidebar as well.You can also change the seting to a past date by seleting set date and time and choosing a date of your choosing. 8. Blogger Automatically makes the URL for each post when you publish it. If you would like a custom link click on "Permalink" on the right sidebar and select custom then enter the url you'd like. You must do this before you publish your post. 9. As for Labels you can add them on the sidebar or on the posts page of your dashboard. 10. You may have seen on my blog and other blogs that there is a small amount of the post on the home page and then a "Read More" or "Keep Reading" button. To add this you simply choose where you want the post to stop on the home page and then make a space under that line and click the little icon on the toolbar that looks like a page torn in half. This is called a jump break. It will cause the post to stop there and you have to click on read more to see the read. 11. You can choose the alignment of the text with the button that looks like lines on the toolbar. You can create a numbered list with the button next to it. And the button next to take is for a bullet point list. I think that is about it for the posts side of things. You can preview your post with the review button. You can save it and come back with the save button then close the post. And when you are happy with your post you can publish it with the orange publish button. Those are the basics of starting a blog on blogger. I have more blogger tutorials in the works! You can follow my blog on BlogLovin' to be alerted of my next post! Let me know what blogging tutorials I should do in the comments below! This is such a great post. 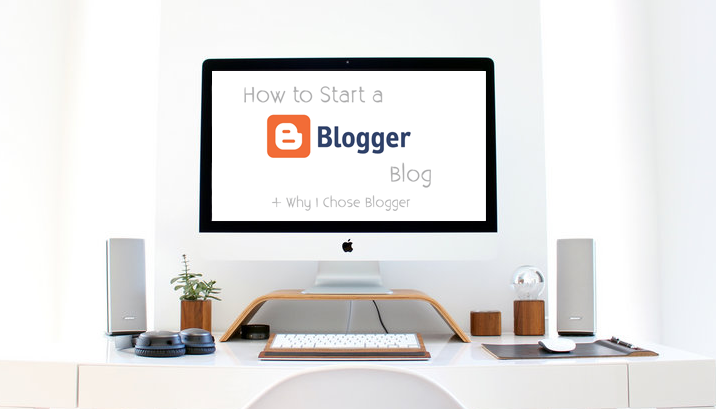 I started off with Blogger and then switched over to wordpress. Not realizing how fast time flew, my site was shut down because I hadn't paid. I totally forgot about that. So back to Blogger I came. Plus I like how easy it is to customize my site to look how I want it too. Thank you! I'm glad you enjoyed it! I started on Tumblr for some reason. I moved after about 2 months. I've almost moved to wordpress a bunch of times because the gadgets are more accessible but I finally decided to say with blogger for the free hosting. I think the extra hunting is worth it.